The third annual Cambridge Baltic Conference is kicking off this Saturday and will focus on issues pertaining to entrepreneurial environment in Lithuania, Latvia and Estonia. The Cambridge Baltic Conference (CBC) project was established and launched in 2013 and, in the previous two years, attracted hundreds of guests and extraordinary speakers including Valdas Adamkus, the former President of Lithuania, and Conrad Wolfram, the founder of WolframAlpha. The distinguished panel of the first conference focused on key issues related to the past, present and the future of the Baltic countries; and the resultant lively discussion received great attention from the media. The second conference elicited a fascinating debate on the opportunities for innovation in education, including the balance between teaching transferable skills and subject knowledge. This autumn, the event promises to be no less stimulating and inspiring. CBC 2015 will encourage its guests to rethink a realm of human activity that has an impact on all members of the society: business and entrepreneurship. We will be bringing together the knowledge, creativity and experience of students, academics, politicians, as well as the business community, to examine important issues about the entrepreneurial environment of the Baltic countries. The conference will begin with attending entrepreneurs and experts with relevant experience presenting their start-ups and companies, as well as sharing their experience and lessons learned with the audience. After the discussion, there will be a networking session allowing all those present to mingle with the entrepreneurs and speakers. Following an opening speech, conference will split into two parallel sessions, each featuring two panels. One of the first panels will be discussing the topic ‘Defining the competitive advantages of the Baltic countries' entrepreneurial environment’. The panel will address questions such as: What helped the appearance of many start-up companies in these countries? What characterises the workforce involved: how are future entrepreneurs educated; and are there entrepreneurs moving from other countries to join Baltic businesses? Similarly, which countries invest in Estonia, Latvia and Lithuania, and what are the consequences? We will also consider the largest industries of the Baltic countries – e.g., metallurgy, IT, pharma and transport, and discuss the goals and impact of large-scale projects such as Rail Baltica. Among others, Roberts Zile, the Member of the European Parliament for the National Alliance of Latvia and Milda Darguzaite, the Head of Barclays Technology Centre Lithuania will speak in this panel. Second panel, running in parallel, will address the technology transfer: we will discuss why most start-ups in the Baltic countries are based on IT and financial services rather than scientific research. Is it because the government does not believe in science based economic growth? Or because funding scientific projects is costly, and the Baltic economies are unable to afford this risk? Also, does Baltic education give science students entrepreneurial skills? We will then consider possible ways to enhance tech transfer by discussing successful science based spinoffs; suggesting potential improvements in education; and considering less financially demanding science start-ups. The speakers of this panel include Andris Berzins, the Co-founder & Chairman of TechHub Riga and CEO of BuzzTale; and Andy Hopper, the Head of the University of Cambridge Computer Laboratory. Following a lunch break, two more panel discussions will commence. Third panel will discuss policies affecting Baltic entrepreneurs. Topics will include tax policies: we will assess if and how they foster, do not foster or harm the entrepreneurs’ initiatives in the Baltic countries. Shifting the focus to other policies, we will ask what the governments currently do to help new businesses. What is the accessibility and impact of the venture capital, seed investments, loans and investments for equity? Furthermore, we will discuss how joining the euro zone has affected the entrepreneurial environment. Finally, we will consider what business promoting fiscal policies could be introduced in the future. Among others, Andris Ozols, the director of the Investment and Development Agency of Latvia (LIAA) will speak in this panel. In the fourth panel, we will talk about the future of the financial sector. We will assess the role of currently existing projects such as TransferWise, especially their impact on the banking sector. What will, if anything, banks do to overcome the losses produced by such disruptive FinTech companies? We will also consider virtual currencies (such as BitCoin), their impact on the financial sector including the risks they pose. To enrich our discussion of the future of the Baltic States’ financial sector, we will also think about example financial developments from other parts of the world. Ilmars Rimsevics, the president of the Bank of Latvia, and Jessica Chen, the Product Manager of Transferwise will participate in this panel. Frequent breaks in between these expectedly lively discussions will provide a platform to facilitate the exchange of ideas in a less formal setting. 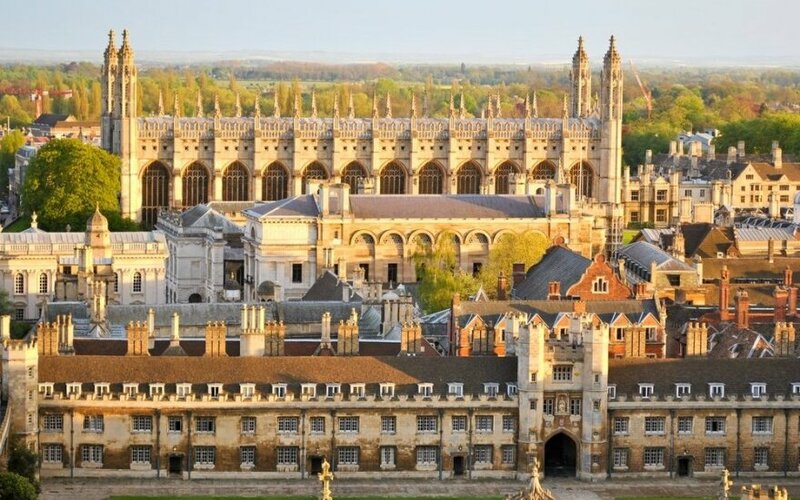 In addition, the dinner, held in one of Cambridge University’s finest and historic colleges, Corpus Christi College, will grant one final opportunity for networking and dialogue before the end of the event. The conference is organised by student members of Baltic countries’ societies at Cambridge University. The committee is confident that the conference will remain a long term and repeated project and continue to bring together and inspire members of different generations and industries. The organisers of Cambridge Baltic Conference 2015 would like to take this opportunity to express their gratitude to several businesses for their kind sponsorship. Equally, they are greatly indebted to a large number of partners for their invaluable cooperation. The up-to-date list of these can be found on the conference’s website and the committee would like to highlight that new potential sponsors or partners are most welcome and should not hesitate to get in touch. We cordially invite fellow students and all those with any form of interest in entrepreneurship to join our conference and take part in shaping the future of Estonia, Latvia and Lithuania. To be kept updated about the conference, please visit the official event’s website or find us on Facebook.